News arrived from Finland that Neste, UK-based chemical recycling company ReNew ELP, and Australian technology developer Licella have partnered to explore the potential of using mixed waste plastic as a raw material for fuels, chemicals, and new plastics. The Wonder from Down Under, Licella, joined up with the Flying Finns of Neste? Powerful potential that. ReNew ELP is commencing construction of a chemical recycling plant in Teesside, UK, with a target to recycle end-of-life plastic to produce raw material for a range of petrochemical products. This will be the first commercial scale plant based on Cat-HTR technology, a catalytic hydro-thermal liquefaction platform developed by Licella over the past ten years. The collaboration also involves Armstrong Energy, who in a joint venture with Licella are leading the financing of the Teesside facility and global deployment of the Cat-HTRTM technology. Although the plant construction is not included in this collaboration project with Neste, it will nevertheless contribute to a common goal of enabling more efficient waste plastic utilization in the future. The partners also plan to study liquefied waste plastic feasibility and sustainability as refinery raw material, the companies are also collaborating with the aim to facilitate regulatory acceptance for chemical recycling. The collaboration is one of the steps towards Neste’s goal to process annually more than one million tons of waste plastic by 2030. 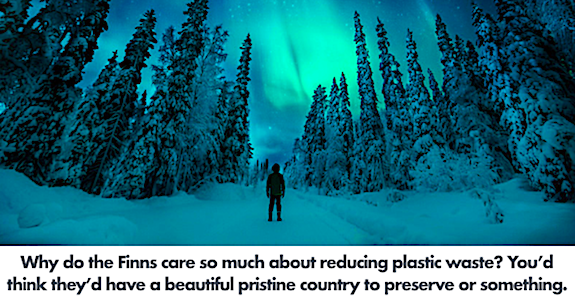 The new venture follows news out in June that IKEA and Neste partnered in a pilot project starting in fall 2018 that will produce PP and PE plastic, chosen to contain 20 percent renewable content. IKEA will use the new plastic in products that are part of the current product range, such as plastic storage boxes, starting with a limited number of products. As capacities improve, more products will follow. IKEA is working to change all of the plastic used in IKEA products to plastic based on recycled and/or renewable materials by 2030. In January 2018, the European Union released its Strategy for Plastics in a Circular Economy. One of its objectives is to increase recycling of plastics and reuse of plastic packaging by 2030. In the EU Waste package, recycling target for plastic packaging was raised to 50% by 2025 and 55% by 2030. In March 2017 we reported that the Canadian Minister of Innovation, Science and Economic Development, Navdeep Bains, pledged a $13M non-repayable contribution through Sustainable Development Technology Canada that will enable Canfor to further develop and demonstrate Licella’s technology — it will take what is a currently a waste product from its production processes and develop it into a low-cost biofuels product. “This new material represents a significant step towards a fossil free future. No one has ever before been able to produce PP plastic from a fossil-free raw material other than on a laboratory scale. Together with Neste, we are ensuring that there is an opportunity to scale up the production of this material”, says Erik Ljungblad, Category Manager Plastic Products at IKEA of Sweden.